The Guild Season 4 is Here! Guildies from all around the world have been waiting for this moment, and it’s finally here! The Guild Season 4 debuted a few hours ago and fans are just going wild for it! This highly entertaining and geeky web series is about a group of online gamers who meet in real life and all the adventures and drama that goes with it. Get a dose of geek humor, social awkwardness, and even the trials of love and friendship in these 5-8 minute episodes. You’ll be surprised at how much you can relate to the characters! The first episode of the 4th season is now available, so be sure to watch it now. “The Guild” is also available on Xbox Live in 20 countries, subtitled i 8 languages, and streaming at 1080p resolution. If you need a refresher of what happened in Season 3, here’s an entertaining auto-tuned recap made by Gregory Brothers. (See video below). For more juicy bits of what’s to come in Season 4, be sure to see the Season 4 Trailer! Beatweek recently interviewed Felicia Day, writer of The Guild webisodes. You can read the interview here. If you’re wondering what’s going on with NBC / Jay Leno / Conan O’Brien… I hope this video explains it better. If you’re a computer-chair potato like me, you know it’s hard to fit in any exercise (or movement for that matter) into your daily schedule. But Wii Fit Plus is a fantastic game to help motivate you to exercise. This is a nice upgrade from the previous version. If you already own Wii Fit and the balancing board, you only need the $20 game upgrade. If you don’t own it at all, you can buy the complete package for only $89.99 (on sale on Amazon – save $10). Wii Fit Plus still uses the previous User Interface — which is good because it’s easy to use and it’s very familiar to Wii Fit owners. Additional features include a calorie count — so you can keep track of how many calories your burn after each exercise and throughout the entire workout. There are 15 new training games (which are my favorites) that will have you flapping your arms, running, and even do karate moves! It’s not only fun to play, it’s also hilarious to watch! Wii Fit Plus also comes with new yoga and strength training moves. Any position yoga or strength training you didn’t unlock in the previous game will be unlocked in Wii Fit Plus. Wii Fit Plus routines can be set up so you would do exercises designed to improve specific ares. This is done by combining activities. Changing players during the game has also become is much easier! In the original game, you would have to close your session, and then select the new player. In Wii Fit Plus, you can simply click on “Change Player” and the next player can start playing the same game. Best of all, all of your data transfers nicely over into the new game. With the new improvements and additional games, I highly recommend this game for parties and individuals who need a fun way to be more active. I give it a 9 out 10 stars. Below is a more detailed review of each individual new mini game in Wii Fit Plus. The new Wii Fit Plus Training games are a lot of fun! They combine aspects of the original Aerobics and Balance games in the previous version. The wide range of mini games are quite impressive. Here are my reviews of each of the 15 new mini games. Perfect 10 – In this game, you want to add up the numbers to 10 (in easy mode) by wiggling your tush to hit bouncing balls that add up to 10. This is a great mental and booty exercise game. Finish it to unlock the advanced level — adding numbers up to 15. Obstacle Course – This one is definitely my favorite because it’s not a short game, and you do feel like you’re running an obstacle course on American Gladiators, or something similar to that. Run by walking quickly on the balance board. When you need to jump bend your knees and stand up. The balance board will pick up the weight shift. Be sure not to JUMP or remove your feet from the balance board. This will cause you to start the course over. This took me a while to get use to, but after the 3rd time, I finally got the hang of not jumping off the board. It’s a great workout that requires quick thinking and a steady pace. Driving Range – allows you to work on your golf moves. Turn the Wii Balance board to the side, and use the Wii Remote to swing. The game will show you how balance you are and correct your position. There’s no time limit, so relax and keep golfing. You can also take practice shots before each ball. Skateboard Arena – is very fun once you get the hang of it! You turn the Wii board around and stand on it like a skateboard. Skate over lights to earn points and even go up ramps! The more points you earn, the more levels you can skate in. If you skate board starts slowing down, step off with one foot and push (just like a real skateboad) to gain momentum. Snowball Fight – is definitely one of my favorites. You are snowball fighting against a whole army of Mii’s. Well, not really, but when you’re by yourself, it seems like an army! Hide behind a shield, but peek out to throw snowballs at your opponents. Step to the left to peek out on the left side, and step to the right to peek to the right. But be careful not to get hit with snowballs! Use your Wii Remote and aim at your opponents. Press down to throw snowballs at them! Rhythm Kung Fu – is really cute. I’m a bit off rhythm for the faster moves, but I love how you can use the Wii Nunchuk and Wii Remote to mimic the moves. It’s a big improvement over Rhythm Boxing. I like how you can watch the Mii’s and just follow their moves right after instead of waiting for them to complete full moves. Island Cycling – this is another one of my favorites. Although I’m not really on a bike, the moves you have to mimic does feel like I was riding on one. Just take fast steps on the balance board to move your bike faster, and use the Wii remote to maneuver the bike to the left or right. The object of this game is to capture all the flags on the island. There is no time limit, so you can go as quickly or slowly as you like. This game also gives you the chance to go and explore all parts of the Wii Fit Island. It’s incredibly scenic and fun indeed. Once you captured all 12 flags, head toward the finish line and then unlock the advance mode — 22 flags. Boy does this game work out those leg muscles! Segway Circuit – this game is awesome and so much fun! You can zone out and feel like you’re really on a Segway! There’s a giant gopher on the loose, stealing all of the beach balls. The object of the game is ride around quickly and pop all of the beach balls. At the very end, chase the gopher around and pop the last beach ball. Be careful because he’s quick! Jump on ramps on your Segway to gain speed. Use the Wii Remote to steer to the left or right. And balance yourself on the board as you would on a Seqway. Very fun if you enjoy quick games. Tilt City – the object of the game is to make the falling balls land in their matching colored-canister. Sounds easy right? There are two levels of boards that you control. The top one is controlled by holding the Wii remote on it’s side. The second level are controlled by your feet using the balance board. It gets pretty tricky with multiple balls dropping down. Quick hand-eye-feet coordination is needed to score high! Quite fun and challenging! Rhythm Parade – you use the Wii Remote and Wii Nunchuk as your batons and you march down the streets in a marching band. Raise your ‘baton’ as you see lights coming down either side of the screen. This is not my favorite mini games because my feet and hand coordination is quite off. Once I get the hand motions down, my feet are off rhythm. Try it! Maybe you’ll have better luck than me. Big Top Juggling – tests your balance skills. Balance yourself on a big ball as you use the Wii Remote and Wii Nunchuk to juggle balls tossed at you. It’s not one of my favorite — probably because I keep falling off the ball. But I’ll give it another try soon. Table Tilt Plus – I simply adored the original Table Tilt games. This game tests your balance and speed. The new version is much more difficult because balls now have the ability to land on poppers that launch them onto a higher pedestal. It’s very challenging as you have to control where the ball lands as well. Balance Bubble Plus – I got really good at the original game, and this version just took me by surprised! It’s quite difficult once you enter the dark cave and try to balance and maneuver around monsters in there. This works your eye and feet coordination and is quite challenging. Basic Run Plus – is very similar to the basic run in the original Wii Fit aerobics games. However, you’re running with a cat at the beginning of the game instead of a dog, and the path is different. At the end of the run, there’s a short quiz to test how observant you are. So be sure to check out your surroundings as your run. Do well, and unlock the long run mode. For videos of each of these games, see the official Wii Fit Plus website. Another thing that I really love about this game is how all of mini games tie together into one big Wii Fit Island! If you played the previous version of Wii Fit, you’ll notice that they used the same landscape — the land you see when you run around on the track. In Wii Fit Plus, when you’re running or biking, you’ll see the same course but with the addition of a much more land. The Wii Fit island is very nice and peaceful and you can roam all around it in the Island Cycling game. Read more about Wii Fit on their official website. You can also purchase the game with or without the balance board on Amazon . The one with the balance board is currently on sale — save $10! One more thing, since my family and friends are always over and playing games, I highly suggest getting a Wii Fit Balance Board Silicone Sleeve for your balance board. It makes cleaning the board much easier and comes in an array of colors! And if you don’t have a Wii Gaming System yet, go get one! Feel free to leave a comment or questions below. I’m reviewing this game because it is one of my favorite games. The views expressed in this blog post are my own and do not necessarily represent Nintendo. Dr. Seuss Camera – The Grinch Edition is a fun way to add some whimsical Grinch-graphics to your photos. Just select a Grinch card and snap a photo! It’s especially fun when you take photos of people and show them a green grinch-like version of themselves! With 23 different frames to choose from, creating greeting cards have never been so easy and fun! Choose from various Grinch frames, Cindy-Lou Who, Max and more. Cards can be easily emailed and saved to your photo library. - Over 20 cards to choose from. Grinchmas cards are based on original artwork by Dr. Seuss. - Add your photo in character face cutouts or stand along side them. - Add fun stamps to further customize your cards. Stamps can be moved, rotated, and deleted. - Cards can be saved to your photo library and emailed to your family and friends. - Load photos from your library and edit. Drag, resize, and rotate to make the right fit. For a Grinchy fun time in Who-ville, take along your Dr. Seuss Camera and snap away! The “Dr. Seuss Camera – The Grinch Edition” is available in the iTunes app store for $2.99 $1.99. This review was originally published in iProng Magazine issue #56. Disclaimer: I’ve received a promo code for “Dr. Seuss Camera – The Grinch Edition” iPhone app from Oceanhouse Media in exchange for a review. One of my favorite Threadless shirts is definitely this Space Invader one called, “A Simple Plan,” designed by Neil Gregory. Threadless is having a big sale right now! Get any tshirt for $9, originally $18! What a deal! Get your “A Simple Plan” shirt now! Or check out the other great tees Threadless has to offer. Hurry! Sale ends tomorrow morning! Also.. if you liked “A Simple Plan” tshirt, you might also like this “A Simple Plan” wall trimmings! Video: Season 3 – Bonus Episode: Halloween! I love this video, starring social media stars Guy Kawasaki, Chris Brogan, and Cali Lewis. Here are some speakers at Blog World Expo. If you’re a gamer, know of a gamer, play World of Warcraft, or a big Felicia Day fan, then you probably have already seen this amazing The Guild music video! The song was written by Felicia Day and Jed Whedon and I can’t seem to stop watching it! I got my first glimpse of the video at Comic-Con 2009, and believe me, the crowd there went wild! The song and video were recently released to the public on Aug. 17th, 2009. And yes, I purchased them the minute they hit the iTune store. You can too! If you’re interested in Felica Day’s work, check out WatchTheGuild.com, Dr. Horrible, Dollhouse, and her blog. 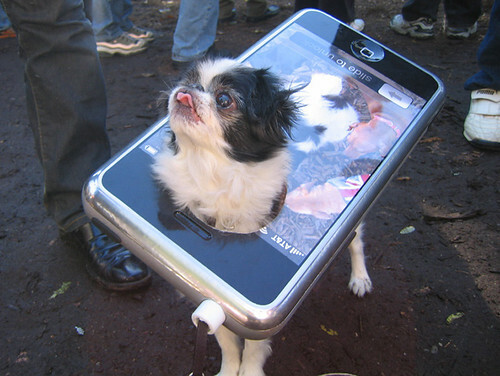 Swell created this great iPhone model from ‘scratch’ for the 2007 Tompkins Square Halloween Parade. Being a coder girl myself, I greatly appreciate this ode to female programmers. Totally awesome. Thanks Dale Chase! You’re quite talented and amazing. These lyrics are tight! Check out the rest of the lyrics to this amazingly written song. @j_holtslander: @daynah that was kinda hot. LOL. I opened my Google Calendar today and saw many entries that I didn’t put in! It turns out that I was subscribed to a “STARDATE” calendar. Ahh, Google Trekkies! Google must have added it since I put “Star Trek” in my calendar. Read more about Captain’s Log at TechCrunch. Have you ever heard of “The Fail Whale” and wondered what it was? 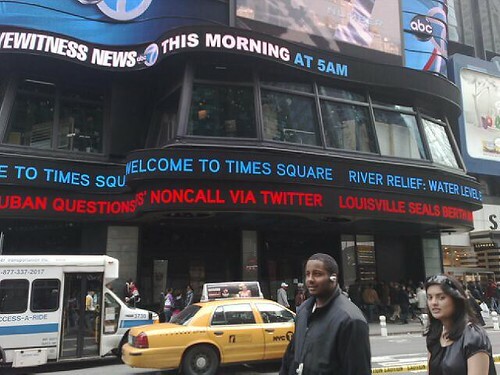 If you know anything about Twitter, than you definitely know what the Fail Whale is. But for those of you who haven’t, check out What is Fail Whale.info for the full story. It’s amazing to see Fail Whale’s artist, @yiyinglu’s artwork become an icon in the Web 2.0 world. Check out Yiyinglu in a FailDress for Australian Sunday Life Magazine! 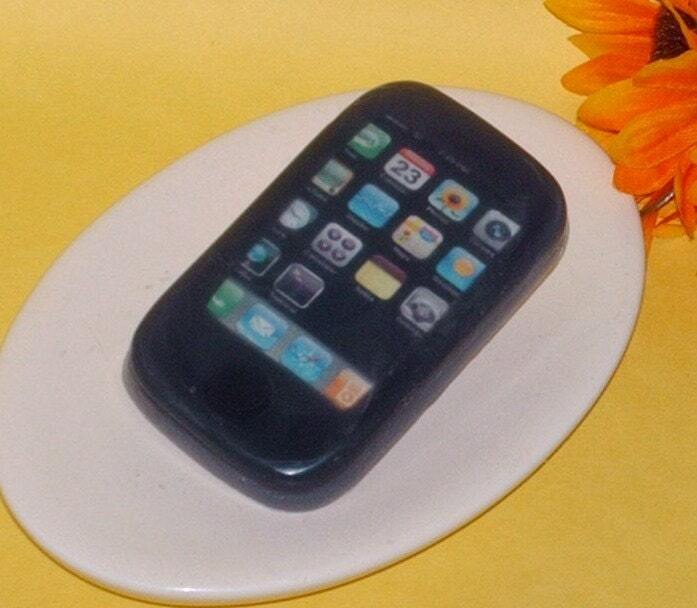 Keep your favorite geek clean by giving them an iPhone Soap! :) Very cute stuff geeky stuff by twoeggplants. While flying Virgin America, I watched two episodes of Tekzilla and 2 talks at TED. :) I had a fun and geeky flight! I originally bought the “I’m Tweeting This” tee from ThinkGeek to wear at Twestival LA. But when it got too cold, I put on a a TweetTee hoodie on. :) It’s quite comfy, so I thought I’d put it on today. Feeling a little sick and tired, but also quite geeky today.